Living in Perth is a great experience for many people, however there are drawbacks. One of these is the increasing lack of water. This can be surprising considering its proximity to the Indian ocean, but the capital of Western Australia is thirsty for a lot of fresh water. The combination of the dry climate and the low rain fall—Perth only receives an average 656 mm a year—can make water a scarce resource. Thankfully, there are several water conservation tips, like installing WA rainwater tanks, to help ease the burden of your household’s water demands. One of the ideal ways to conserve water is to ensure that it’s never wasted. On average, a household can lose 40 litres of water a day to leaks alone. That daily loss can add up as the weeks and months pass by; repairing your leaky faucets and toilets help ensure that you don’t lose all that water in the first place. The other main culprits in wasting water are your toilet and shower. You usually flush 80 litres of water down the toilet daily. A standard toilet uses up to 10 litres of water; replacing it with a more efficient version or, at the very least, placing a brick inside to help displace some of that water reduces the consumption. Retrofitting can help with your shower, too. A low-flow showerhead will save you 60 litres of water during a 10-minute shower. 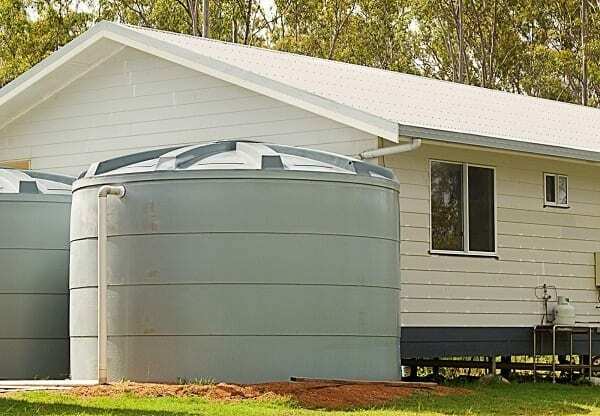 Installing slimline water tanks in Perth with help from reliable contractors like Rainfill Tanks can help reduce the water demands on your plumbing. While the rainwater you harvest with these tanks may not be fit for drinking unless you have the appropriate filtration installed, you can still use them for baths, clothes washing, and general cleaning like washing your car. With help from your contractor, you can evaluate how much rainfall you can harvest and ensure that you’ll be getting clean water for your use. Water savings can also be achieved by developing good habits concerning water use. There are various aspects of our daily lives where we can save water. For instance, doing laundry is one of the big consumers of water in the home, taking up 22% of the demand. Properly sizing your load and using the correct amount of water helps you save water. Another aspect of smart usage is through efficient appliances; for example, an Energy Star-qualified dishwasher uses only 15 litres of water compared to the 24 litres used by normal dishwashers. Moreover, some household cleaning activities don’t need water at all; a broom should be enough to clean your driveway without need of a hosing down.